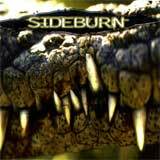 Sideburn is a band from Switzerland, it exits since a long time and used to be called Genocide at the start. There was a change of line up : the guitarist Stéphane Monbarron, Pat Aeby and Bozzy left the band to join DC World (the AC/DC and Krokus cover band from Marc Storace - Krokus, China). Stéphane was replaced by David Pariat (Sultan, Skyscraper, Rated X) who is a great lead guitarist. Lionel B. on the drums and Michel D. on the bass also joined the band. Just for the record Sideburn used to play as opener for Kiss at the Hallenstadium, the biggest hall in Switzerland!!! So what to say about good old time rock'n'roll from Switzerland, in fact not cheesy at all ;-). This one of the kind that smells like the greatest rock bands from Australia alike Rose Tattoo, AC/DC or The Angels (ex Angel City) or even Jimmy Barnes. In fact the title Crocodile is maybe on itself a big dedication to the land of Crocodile Dundee. They also can be compared to southern rock stars like ZZ Top or even Blackfoot. But I would say Sideburn developed its own style since it not called Genocide anymore. They became like an old Whisky bottle getting better with the years by founding their own flavor. You can contact the band at the following address: sideburn_rock@hotmail.com. This album should come out in Germany in the beginning of 2002.